Introduced in 1987, the 3.5″ floppy had a twenty three year lifespan as a standard. And that’s a pretty darn good run. The 5.25 floppy, it’s immediate predecessor wwas introduced by Apple around 1978, and only lasted nine years. The 8″ floppy, used before that, only lasted seven years. Today’s preferred portable media is the “memory stick.” Also called a “thumb drive” or “jump drive,” 512 MB versions can be had for under a dollar, for the careful shopper. For a dollar, you can buy a media stick that will hold three hundred and fifty five floppy disks. Or, if you’ve got a little more money to spend, you can get an 8 GIGAbit drive for about $24.00. It will hold the same amount of data as FIVE THOUSAND FIVE HUNDRED and FIFTY FIVE floppies. For $24.00. I remember being shocked when the price of floppies dropped below a $20.00 for a pack of ten. SO – teaching learners to use floppy disks or even CDs/DVDs is probably not a good way to spend the tiny amount of time we have for technology training. 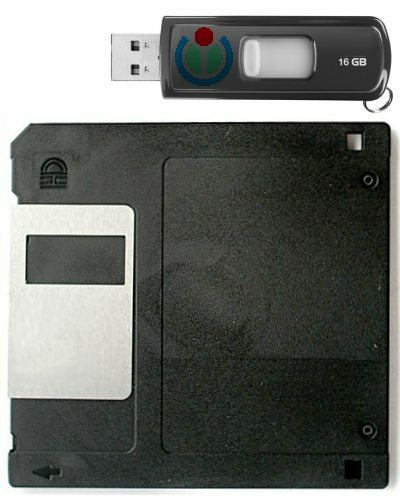 I would be very surprised to discover a computer in use with a floppy drive in another five years. This entry was posted on April 28, 2010 at 2:40 pm	and is filed under Futurism, Job Skills, Pace of Change, Teaching Tech Skills, Technology in the Workplace. Tagged: digital media, future, future techology. You can follow any responses to this entry through the RSS 2.0 feed. You can leave a response, or trackback from your own site. Wow! I was not aware that floppy disks were still being sold in the US… With the ability to save a document in email or another online storage option, I rarely use my memory stick anymore. What programs are still teaching learners to use floppy disks? 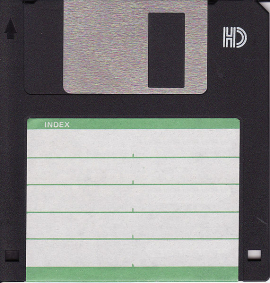 Many of the adult ed teachers I work with are VERY technologically behind (and don’t seem to be concerned about that one bit…), but I thought most people had gotten rid of the floppy by now. You asked – what programs are still teaching learners to use floppy disks? In TN, and likely in a number of “poorer” states, you can still find adult education programs with Windows 95 or 98 machines, and machines that were bough “bargain basement” or donated that have few/no usb ports, and no CD/DVD write capability – much less internet access. Only way to get stuff on or off of them is via floppy. Scarier, many of these same programs have continued to use floppy disks to save or back up important program files – and now need to move/convert al that over to some other media. and they have no TIME to do that given all the recent budget cuts. Also due to security issues, they are VERY hesitant to use “cloud sotrage”(or local policies have not yet been adjusted so they officially can). I nag her about that from time to time. Floppy disks, and, frankly, all magnetic media, deteriorate over time. You have to transfer the data to new media periodically, or you’ll lose it. Whatever Duren’s got on floppies may or may not be readable now that they’re over 5 years old.